Cucina Colac Cookery School, its directors, officers and agents believe that all information contained within this website is correct. However, no warranty is made as to the accuracy or reliability of the information contained herein and Cucina Colac Cookery School disclaims all liability and responsibility for any direct or indirect loss or damage which may be suffered by any recipient through relying on anything contained in or omitted from this website. This website contains links to other websites which are external to this website. Cucina Colac Cookery School has taken reasonable care in selecting linked websites. It is the responsibility of the user to make their own decisions about the accuracy, currency, reliability and correctness of information contained in linked external websites. 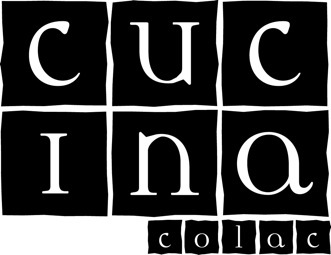 Cucina Colac Cookery School accepts no liability for any interference with or damage to a user’s computer system, software or data occurring in connection with this website. Users are encouraged to take appropriate and adequate precautions to ensure that whatever is selected from this site is free of viruses or other contamination that may interfere with or damage the user’s computer system, software or data. If we change our disclaimer, we will post those changes on this page. This policy was last modified on 13 May 2014.